Texas’ long-awaited CBD program is underway. Sort of. The nation’s second-most populous state has a limited CBD program, three licensed growers and plants harvested. But Texas has no patients just yet, a signal that the state’s elaborate hurdles are blocking consumers from accessing marijuana-derived medicine even if it’s a cannabidiol product low in THC. “We expected that it’s going to take a while to get off the ground, and that is what’s happening,” said Scott Klenet, a spokesman for Knox Medical, one of three licensed marijuana growers in Texas. Klenet has a delivery-only business in Schulenburg, about 75 miles southeast of Austin. “We are open for business and have products available, and we’re working with folks daily to make those products available when they’re ready,” Klenet said. The problem is Texas’ highly restrictive CBD law. The drug is available only to people with intractable epilepsy, and two neurologists must sign off and say that traditional treatments have failed before a patient can access CBD. The finished treatment can’t exceed 10% THC by weight or 0.5% THC, a threshold unique to Texas. The state does not prescribe a THC limit for cannabis plants grown to produce the treatment. Texas currently has just 11 doctors who have volunteered to join the registry, a requirement for recommending physicians. That’s a slight improvement from late 2017, when fewer than 10 doctors participated. Still, when Texas’ CBD program opened for business on Jan. 1, not a single patient was eligible to buy marijuana-derived CBD. Texas’ CBD patient count may be forever a mystery because of medical privacy laws. Because marijuana is still listed as a Schedule 1 drug on the federal level, physicians aren’t allowed to prescribe it. Doctors in states where full-strength medical marijuana is legal can “recommend” cannabis treatments, and those recommendations can be counted and reported to the public. CBD entrepreneurs in Texas are surprisingly optimistic the market will improve, though. “I think we’re getting to the point where it’s about to get real,” said Morris Denton, CEO of Compassionate Cultivation, another licensed Texas marijuana grower. Compassionate Cultivations has a marijuana-derived CBD oil ready for sale, but no patients to sell it to. “We’re ready to see whether existing regulations are a hindrance or an avenue to getting medicine,” Denton said. Texas’ cannabis activists say the slow rollout of the state’s CBD law may inspire lawmakers to expand the program when they return to work in 2019. The Texas Legislature does not meet in 2018, meaning the current law will stand for months. 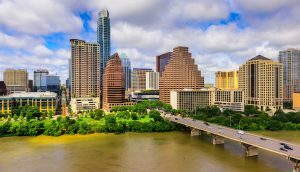 “While there are plenty of shortcomings to the program, it is still a very exciting time in Texas,” said Heather Fazio, Texas political director for the Marijuana Policy Project. Fazio pointed out that the Texas House has already agreed to expand patient access, though the changes didn’t make it to the governor’s desk. She predicted 2019 legislation may expand the number of qualifying conditions. “We’re looking forward to keeping that momentum up during the interim and updating the program for patients who are being left behind,” Fazio said. Texas is a croney capitalist state, look at how much Dr Burzynski has been persecuted for helping cure kids with brain tumors. Our legitimate political thiefs in Austin, TX need a wake up call. Existing medical research relative CBD oil is certainly available for review. Perhaps our proposed leaders have forgotten not only how to read, but that they set in comfortable chairs in Austin to represent those who took the time to vote. It may be time to reconsider. This is all the more reason pro-cannabis Texans have to get involved in engaging our political figures, judges, sheriffs, and the DPS officials in each of our districts and ask them their position on cannabis. Most politicians are not as educated as you would hope they are about cannabis. Which is why we all must be very vocal over this next 2018 year with proper education, information, and data from other states with current programs to help shape our policy and regulations here in Texas. I’m a little confused with this article. There are plenty of stores in the Dallas/Fort Worth area to buy CBD products without any documentation, prescriptions, or permissions. A new CBD store just opened up down the road from my home in Fort Worth. I have had no problem buying CBD lotion, tincture, vape oil, and even shatter at multiple locations in DFW. And I was able to obtain these products before Jan 1.